Two years after Hong Kong’s Fantastic Day released their critically acclaimed album Innocent, here comes a new single, “For Tomorrow”. The C86-inspired band first appeared on the indie scene in 2004, but took a long hiatus after just one EP, before returning to the scene with Innocent in 2013. “For Tomorrow” is everything you’d expect from the band and more: jangly riffs, catchy synths, cheery vocals juxtaposed against not-so-cheery lyrics, and a whole lot of nostalgia for early 90s British indie pop. 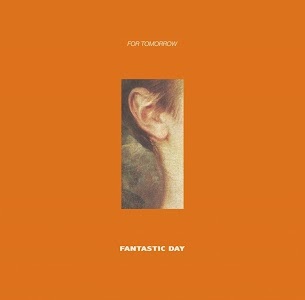 In a way, the song marks a departure from their previously more optimistic sounding work; “For Tomorrow” has an added layer of melancholy and maturity to it, with lead singer Dee crooning, “I feel sick and tired/I’m looking for tomorrow/Anytime/What a waste of time”. If this is any indication of what the new album will sound like, we’re very excited. And if you think the song makes you want to dance, just wait till you hear the Extended Dance Remix.